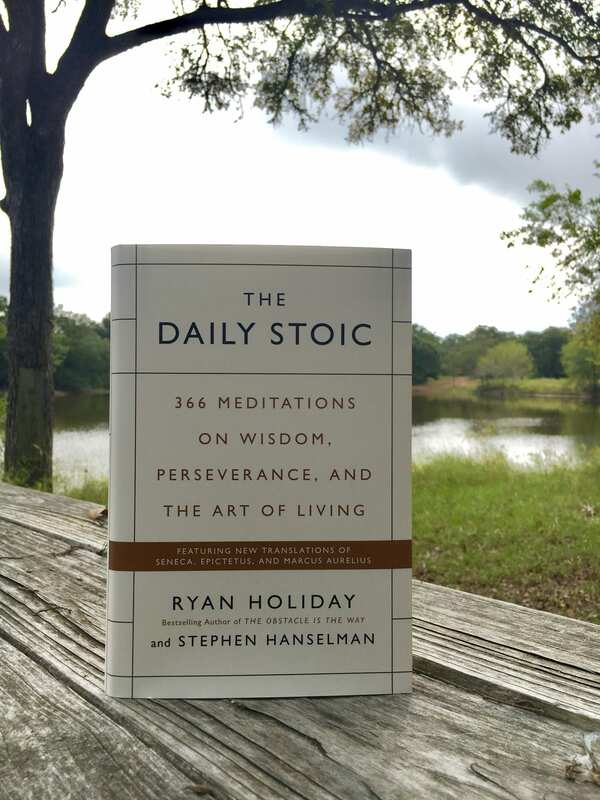 The Daily Stoic: 366 Meditations on Wisdom, Perseverance, and the Art of Living offers 366 days of Stoic insights and exercises, featuring all-new translations from the Emperor Marcus Aurelius, the playwright Seneca, or slave-turned-philosopher Epictetus, as well as lesser-known luminaries like Zeno, Cleanthes, and Musonius Rufus. Every day of the year you’ll find one of their pithy, powerful quotations, as well as historical anecdotes, provocative commentary, and a helpful glossary of Greek terms. The book is available on Amazon, Audible, iTunes, B&N, Kobo and everywhere else books are sold. You can also get a signed and personalized copy at BookPeople! I'm starting 2017 with a good dose of Epictetus. This is perhaps the key message underlying all practical Stoicism. Taken from @dailystoic by @ryanholiday and @stevehanselman.